Conveniently located on the outskirts of Buckingham, just 10 minutes from Addington, the Best Western Buckingham Hotel, is a stylish and contemporary hotel with 70 comfortable en suite bedrooms, executive rooms and suites. Hotel guests benefit from unlimited access to the on site Health and Leisure Club, with swimming pool, sauna, steam room and two well equipped gyms. Chardonnay Restaurant & Bar offers an extensive range of lounge meals and fine al a carte dining. The bar is stocked with beers and wines from across the world and both old and new world wines. The Bell Hotel, centrally situated between Aylesbury and Milton Keynes, is a most convenient base for business or pleasure, catering for large parties or the individual. 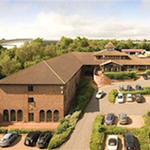 The Carvery Restaurant is open every lunchtime and evening, bar meals are available all day. Vegetarian dishes are always available as an alternative main course. If you do not fancy a Carvery meal try a meal from our extensive bar meal menu. All our bedrooms are ensuite, well appointed and comfortable with tastefully colour coordinated fabrics and furnishings. 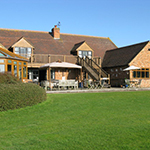 Private, family owned venue enclosed and bounded by farmland and hedgerows. Parking for horse trailers/boxes/transporters (please book space) and 200 domestic vehicles in marked bays on tarmac with CCTV coverage. 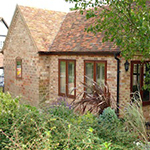 Situated along an ancient public bridleway in Buckinghamshire countryside. Lakeside and surrounding infinity country views. Standard double en-suite rooms with hospitality trays, DVD, TV & free WiFi. All rooms overlook the golf course and fishing lake. Restaurant with award winning Head Chef - all meal requirements catered for upon request. Food is freshly made on the premises. Sarah's Beauty rooms and Fit-4-Life gymnasium/sauna/steam rooms on the premises. 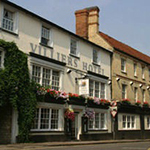 Villiers has 46 individually designed bedrooms, all en suite, offering ample room for relaxing and all the facilities expected of a top class hotel - fridge, hospitality tray, trouser press, laundry service, dial-out telephone, and multi-channel television. Premium rooms also offer air-conditioning, broadband internet access, printer & fax machine, and fridges are stocked with complimentary soft drinks. Family rooms are air-conditioned and feature two adjacent bedrooms linked by a hallway with a single lockable entrance door. All have en-suite bathrooms. There are four luxury suites with separate lounge areas. Three have galleried bedrooms overlooking the lounge dining area below and all feature jet spa baths. 24 hour room service is available for all bedrooms and suites. Self contained country accommodation in Great Horwood between Buckingham and Milton Keynes, ideal for Addington Manor EC. 3 Twin/Double Bedrooms, 2 with full en-suite facilities (Shower, Bath, Basin, WC), 1 with Shower and basin, 2 also available as family rooms, television, central heating, tea and coffee making facilities. 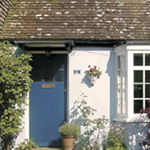 Luxury double rooms all with en-suites, set in rolling countryside. Only 3 miles from Addington Equestrian Centre. Plenty of parking for Lorries/Trailers. 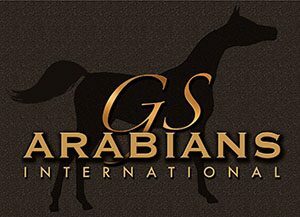 Stabling/Turnout also available. 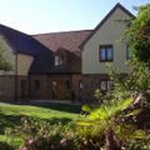 Linford Stables bed and breakfast in Milton Keynes is set in 8 acres with stables, garden and paddocks. This farmhouse style bed and breakfast provides up to 8 B&B rooms split between main house and annexe, 5 of which are en suite. Our comfortable Milton Keynes B&B located in a country setting just minutes from Milton Keynes provides a "home from home" for business travellers and a great B&B for holiday-makers. 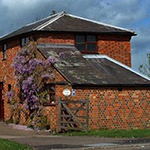 Linford Stables provides horse B&B stabling, paddock, arena & horsebox parking ideally situated only 4 miles from Addington Equestrian Centre. Only 2 miles from Addington and based in the conservation area in a quiet backwater in the centre of Winslow close to the shops, restaurants and pubs, this timber framed 18th century cottage is warm and welcoming. The residents sitting room has a TV with Freeview and an extensive DVD collection and in winter months you can linger in front of the open log fire. In the summer you are welcome to sit and enjoy the quiet of the walled garden. Facilities include free WiFi, tea and coffee making facilities, TV & DVD in all bedrooms, hair dryer. Children welcome. Dogs welcome by arrangement. No expense has been spared in the refurbishment of Buckle cottage bed and breakfast acommodation. Featuring oak beams, wooden shutters and French doors to the garden, the tastefully furnished, spacious guest lounge, kitchen and bathroom boast top quality furnishings and fittings, providing all home comforts. The spacious double bedroom accommodation features a double height beamed ceiling with further galleried sleeping accommodation; ideal for a family. All linens and soft furnishings are of the finest quality, including sumptous fake fur throws and huge cushions. 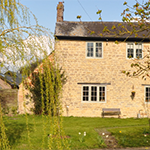 Buckle Cottage provides superb style and comfort, off- road parking and WiFi broadband at less than average hotel rates; perfect for weekends away or business trips. 5 Mins from Addington. Room to park a lorry. 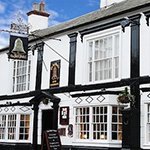 Set back from the road we are a 50 yard stroll from the village pub The Bell Inn, which provides good quality beer and food. Stony Stratford, only five minutes away offers a variety of pubs and restaurants.